For a limited time you can purchase Vanessa and Virginia, by Susan Sellers and Jenny Brown, for $2.99 from the following booksellers! "You see, even after all these years, I wonder if you really loved me. 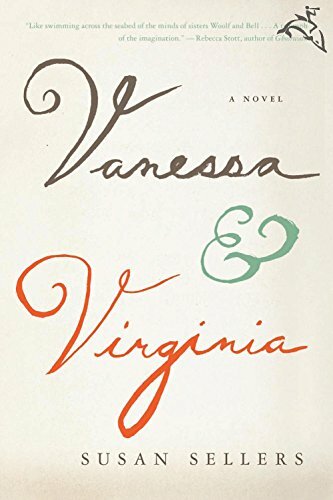 Vanessa and Virginia are sisters, best friends, bitter rivals, and artistic collaborators. As children, they fight for the attention of their overextended mother, their brilliant but difficult father, and their adored brother, Thoby. As young women, they support each other through a series of devastating deaths, then emerge in bohemian Bloomsbury, bent on creating new lives and groundbreaking works of art. Through everything—marriage, lovers, loss, madness, children, success and failure—the sisters remain the closest of co-conspirators. But they also betray each other. In this lyrical, impressionistic account, written as a love letter and an elegy from Vanessa to Virginia, Sellers imagines her way into the heart of the lifelong relationship between the writer Virginia Woolf and the painter Vanessa Bell. With sensitivity and fidelity to what is known of both lives, Sellers has created a powerful portrait of sibling rivalry."